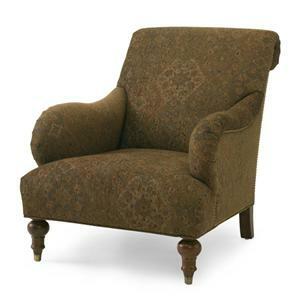 Your living room is not complete without a cozy armchair. 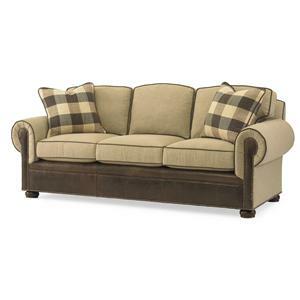 Relax into the comfort of the cushioned seat and back pillows for superior support. 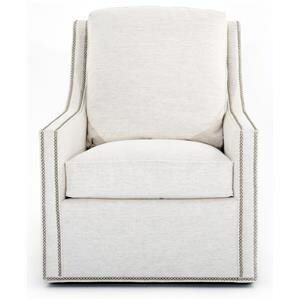 Padded rolled armrests are tailored and curved for an elegant touch. 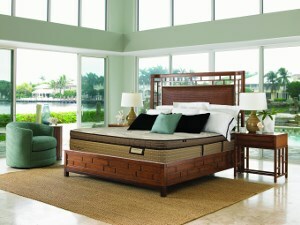 Exposed carved wood feet ensure long-lasting support and traditional appeal. 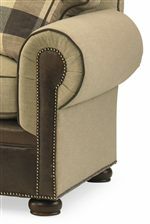 Available in a variety of upholstery options to match with any home furniture and decor. 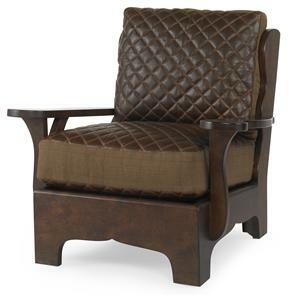 The Bob Timberlake Carter's Casual Plush Chair by Century at Baer's Furniture in the Ft. Lauderdale, Ft. Myers, Orlando, Naples, Miami, Florida area. Product availability may vary. Contact us for the most current availability on this product. Discover truly innovative designs created in a timeless, sophisticated style with the Bob Timberlake collection. 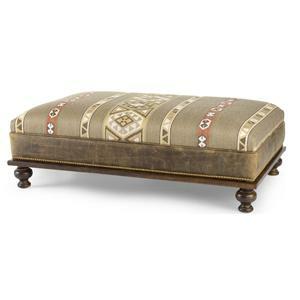 Featuring a combination of elegant upholstery and rustic casegood pieces for your bedroom, living, and dining areas, this assortment offers quality craftsmanship and impressive style to outfit your home. With unique design elements that intertwine creative storage solutions with a visually appealing structure, the Bob Timberlake collection adds personality and emotion with its presence. Featuring a variety of alder or walnut woods, as well as genuine leather or fabric upholstery, this collection ensures a high-quality sophisticated feel. Warm and appealing with a traditional yet relaxed style, find your way home with the rustic Bob Timberlake home collection. 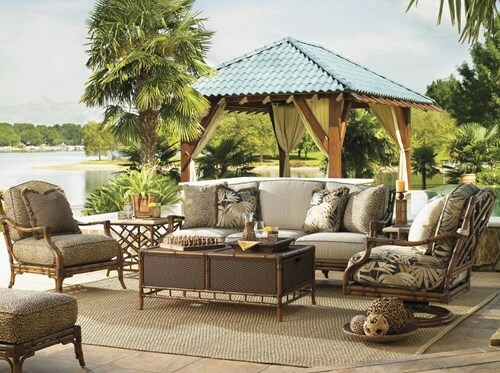 The Bob Timberlake collection is a great option if you are looking for Casual furniture in the Ft. Lauderdale, Ft. Myers, Orlando, Naples, Miami, Florida area. Browse other items in the Bob Timberlake collection from Baer's Furniture in the Ft. Lauderdale, Ft. Myers, Orlando, Naples, Miami, Florida area.